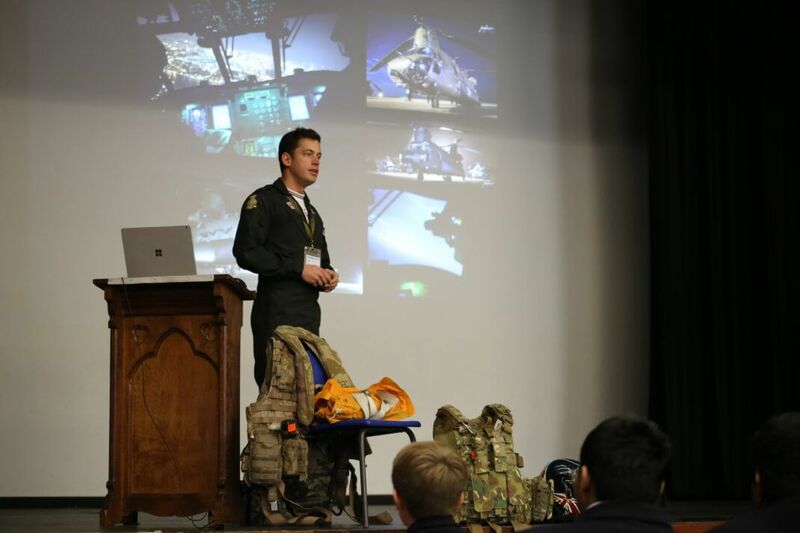 An RAF helicopter pilot who flies one of the Force’s most distinctive aircraft has told Year 8 pupils about life in the skies all around the world. 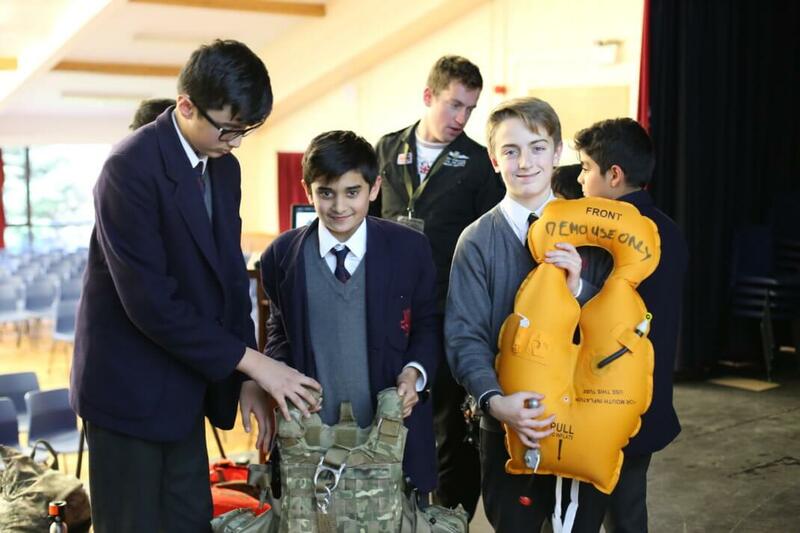 Flight Lieutenant Andy Donovan, who pilots the Chinook helicopter, visited John Lyon on Wednesday 28th November to speak to every boy in the year group as part of the School’s Excellence Programme. 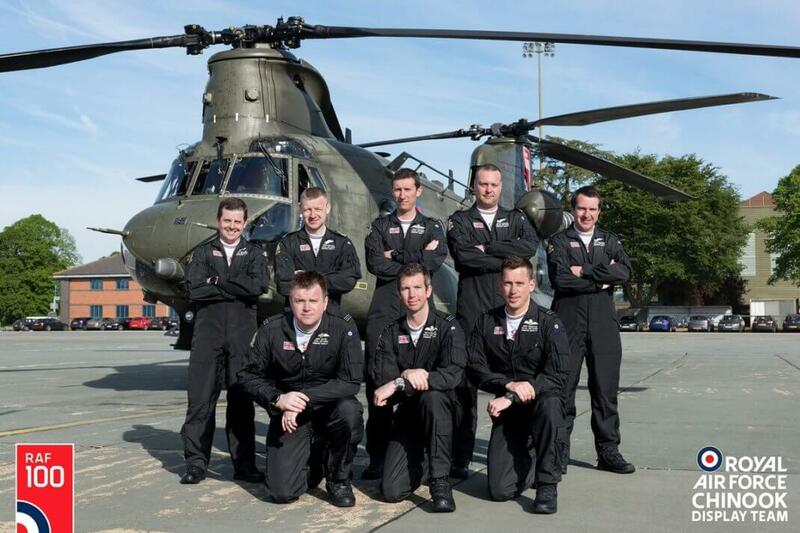 Flt Lt Donovan, who as well as being part of a fully operation squadron is also part of the Royal Air Force Chinook Display Team, talked about his time serving in the Force and highlighting some of the particular tasks he had undertaken, notably his work in the aftermath of Hurricane Irma, which devastated parts of the Caribbean in 2017. 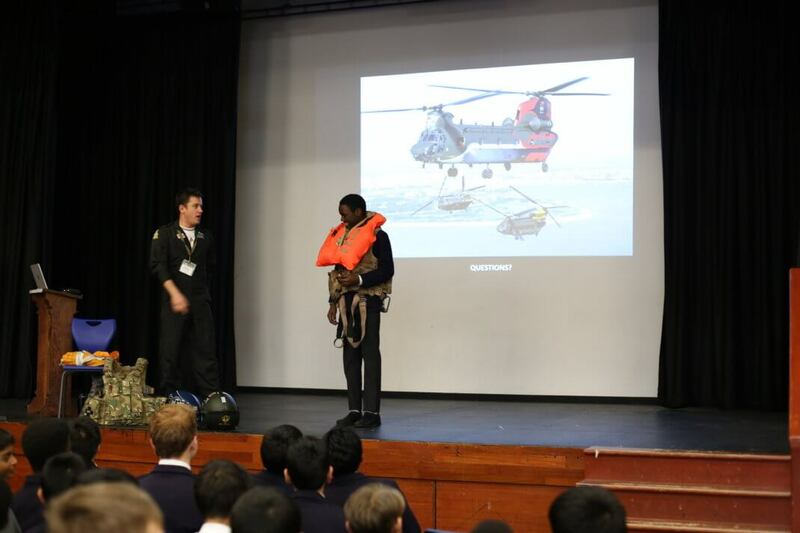 His talk also looked at how the RAF helicopter team delivers excellence and the importance of team work. 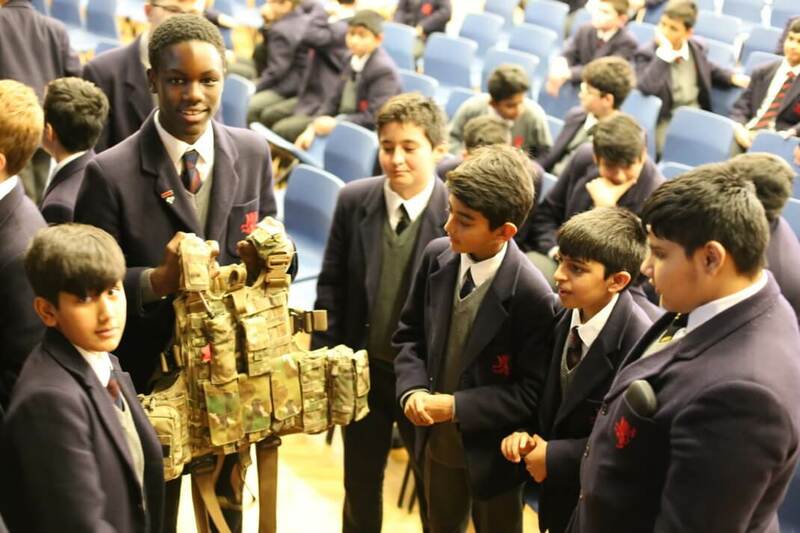 After the talk boys had the opportunity to ask questions and to see and handle some of the equipment used on board a Chinook. The Chinook is absolutely amazing, and it is now one of my favourite military vehicles. The fact that it can land in some of the tightest spaces is amazing! I learned that the Air Force goes to other countries to practice manoeuvres with other air forces and different types of planes such as the F-35 and the Eurofighter typhoon, so they can see how the others like to fly and how to adapt their flying to it. 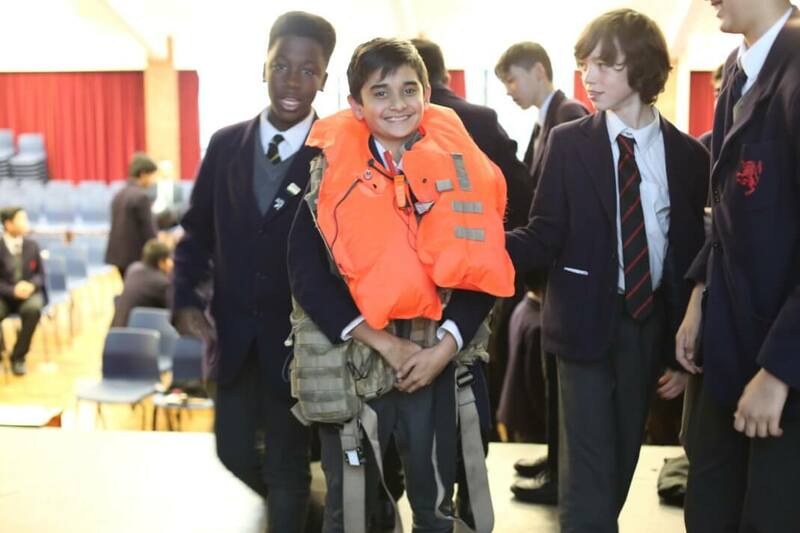 I also got to wear a military vest in the assembly and although it was a bit heavy, I thought it was great. 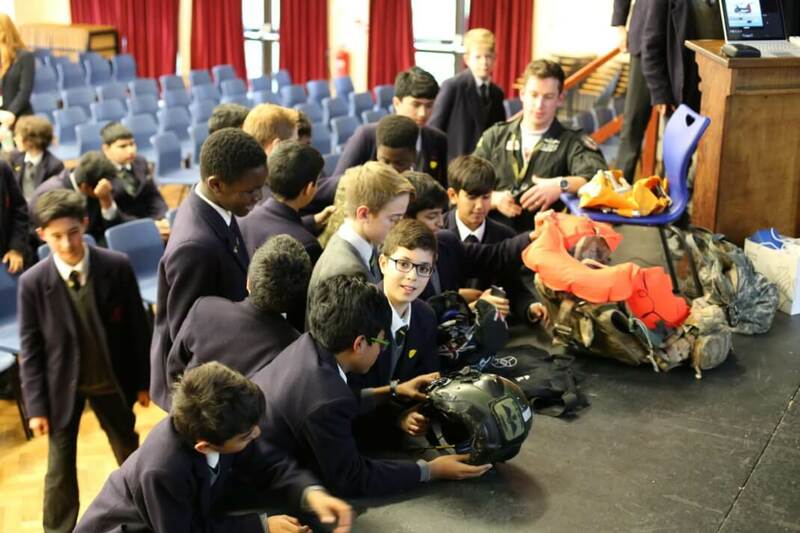 Flt Lt Donovan talked about how and where he trained, how he got out of some tough situations, and what he usually wears whilst flying his helicopter. It was good because I learnt a lot of things about the helicopter and the clothing that he wears. 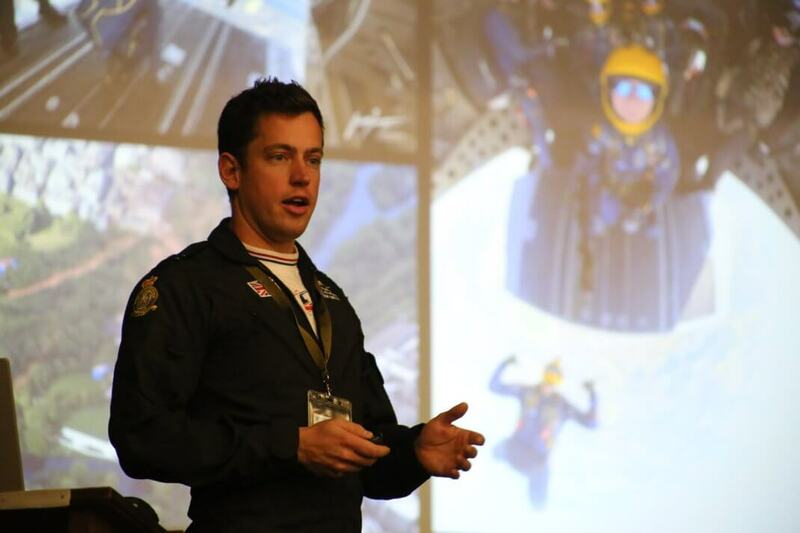 I enjoyed the talk from Andy Donovan very much as he made his presentation very entertaining with videos and cool photos of the helicopter he flies. He also showed a video of virtual plane flying practice using virtual reality simulation (that was my favourite!). He also let us look at his flying gear which was quite cool. We all got to hold his equipment which was very heavy! 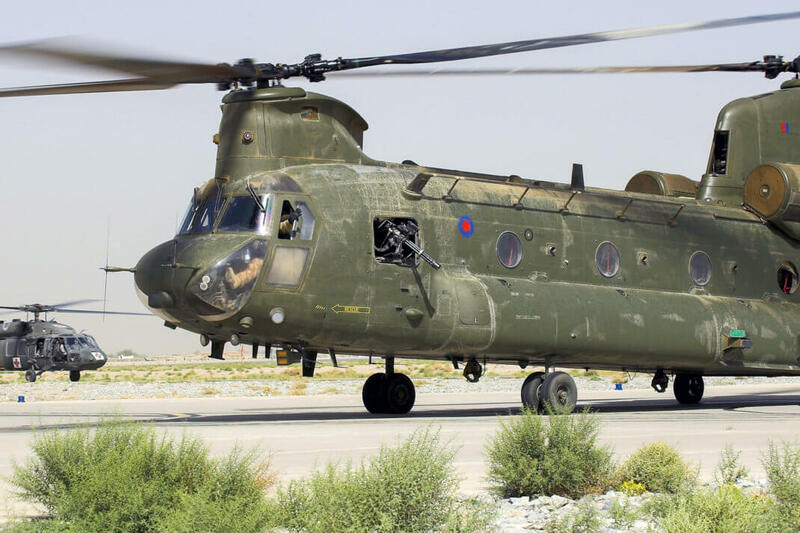 The Chinook is an RAF helicopter with two propellers.  They spin alternate ways and, they narrowly miss each other. It is the only helicopter that can carry other vehicles. Overall, I found this exciting and fun and I’m excited for the next excellence talk. The talk really put me deep in thought of how the Forces feel when there is an unreal amount of pressure on them, especially the pilot. I also learnt a series of impressive features on the helicopter, like it takes 1.2 tonnes of gas. But there was one thing that amazed me most, and that was the simulations. The amount of detail and construction gone into that is beyond my mind, especially the gun simulation. I have learnt that people in the RAF fly lots of aircraft to help other countries. Before this talk, I used to like just passenger planes, now after this talk I like helicopters for the good design of the Chinook. This is a well-designed helicopter because of how it can land on very tight spaces, also how well the rotor blades spin and how they don’t crash into each other. This talk has inspired me to make a model of a Chinook out of LEGO or out of cardboard.